Retail Coaching is a conversation model inspired by the Corporate Coaching method based on fostering potential to improve group performance and increasing profit in point of sale. Here at Retail Coach® we have responsabilities similar to that of an athletic coach, our exclusive role is to support the growth of business activities, especially those related to world of luxury goods, providing an ongoing contribution with a view to improving corporate profitability. The Retail Coach® becomes an ally to the most demanding entrepreneur. Style Coaching: dedicated to professionals wishing to start restyling their look and their lifestyle. To achieve better visibility and a renewed source of positive energies, ideal to be open to new opportunities of personal success. For further information on Coaching session offered by Retail Coach®, please click here. 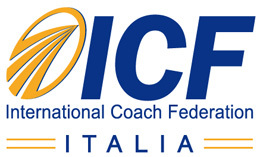 All sessions are covered by guarantee of absolute confidentiality as The code of Ethics by International Coach Federation.